The fastest and most epic way to arrive at the race. Reservations must be paid in full at the time of booking. Passenger weight information is required at the time of booking. Limit one carry-on per person, may not exceed 15 lbs. Must declare desire to take a carry-on (purses, backpacks, briefcases, etc) at the time of reservation. TMS helicopter charters are subject to extra passener security screening per federal regulations. Passengers must check-in with a valid, unexpired government issued picture ID, which may include: driver’s license, passport, resident ID card or military ID. Passengers under 18 years of age must furnish an original birth certificate at check-in. Passengers under 18 years of age must have parent or legal guardian present at the time of departure and authorized by the parent or legal guardian. Only small carry on items are permitted such as a purse or backpack with a limit of one (1) carry-on per person. Limit 15 lbs per carry-on item. All carry-ons must be soft bags. All bags are subject to search. Carry-ons must fit in the under-seat baggage compartment or they may not be carried on-board. Please note that passengers are unable to access under-seat baggage compartments during flight. Helicopters are weight sensitive machines and thus every item loaded on-board is of a known weight, which is calculated prior to every flight. At times, in order to comply with normal weight loading parameters, it is possible that groups of passengers traveling together may be accommodated on separate flights in order to ensure the highest level of safety, which is our primary goal. Each passenger’s weight, including their personal belongings and carry-on bags, may not exceed 300 lbs. Passengers unable to fasten the safety belt about their person will not be permitted on-board and will be issued a refund. Seat belt extensions are not available. Passengers will be weighed prior to boarding. Epic Helicopters, LLC reserves the sole right to deny or delay boarding for any passenger for any reason whatsoever. In the event a flight cannot be completed, for any reason whatsoever, Epic Helicopters is not obligated to provide, arrange for or pay for alternate means of transportation. Federal regulations prohibit intoxicated passengers on-board. Intoxicated passengers will be denied boarding at the sole discretion of Epic Helicopters. Passengers denied boarding for this reason will not receive a refund. Custom departure points are available only from area airports. 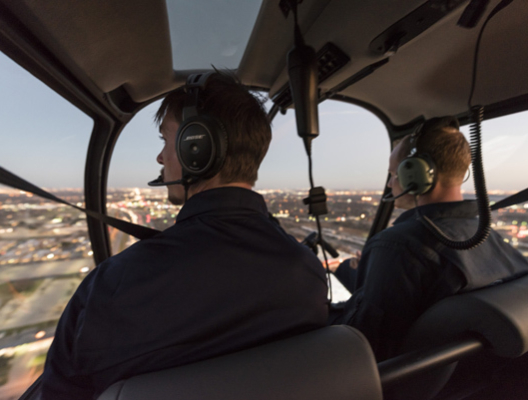 Epic Helicopters services the following airports: Denton, Fort Worth Alliance, Addison, Arlington, Grand Prairie, Fort Worth Spinks, Dallas Love, Dallas Executive, Downtown Dallas Heliport, D/FW International Airport, McKinney, Midlothian/Waxahachie. Other cities outside of the D/FW area are serviced as well. Preferential arrival times are available to passengers that make advance reservations. For departure locations not at an airport, advance arrangements must be made at least 3 days prior. All flights arrive and depart from the North end of the Speedway next to Gate 12. Reservations are non-refundable unless in the event of non-flyable weather (i.e. thunderstorms, low visibility and low cloud ceilings). Refunds will not be given to intoxicated passengers that are denied boarding. On occasion, a flight may be cancelled or postponed due to airspace restrictions, weather or other reasons out of our control. You will be notified by phone in a timely manner if this situation occurs. Hazardous materials such as lighters, fireworks, aerosol cans, etc. Consuming food or drink on Texas Motor Speedway flights is not permitted. Federal law forbids the carriage of hazardous materials aboard aircraft in your luggage or on your person. A violation can result in five years' imprisonment and penalties of $250,000 or more (49 U.S.C. 5124). Hazardous materials include explosives, compressed gasses, flammable liquids and solids, oxidizers, poisons, corrosives and radioactive materials. Examples: Paints, lighter fluid, fireworks, tear gasses, oxygen bottles, and radio-pharmaceuticals. There are special exceptions for small quantities (up to 70 ounces total) of medicinal and toilet articles carried in your luggage and certain smoking materials carried on your person. For further information contact your airline representative. Passengers are subject to security screening and baggage inspection. Epic Helicopters, LLC is a fully certificated Air Carrier operating under the regulatory basis of 14 CFR Part 135. 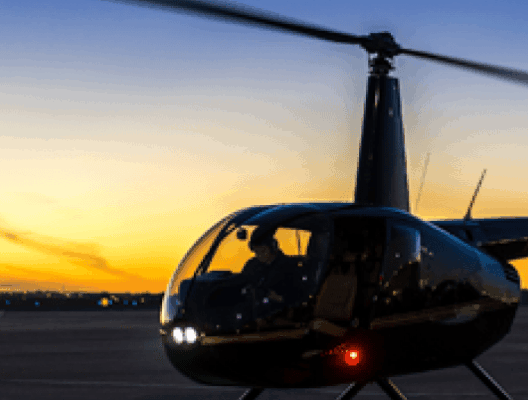 As a certificated Air Carrier, Epic Helicopters, LLC is held to similar standards in pilot training, maintenance and safety as that of commercial airliners.